Longué Communal Cemetery is in the commune of Longué-Jumelles in the Department of Marne-et-Loire, about 15 kilometres north-west of Saumur on the N147. 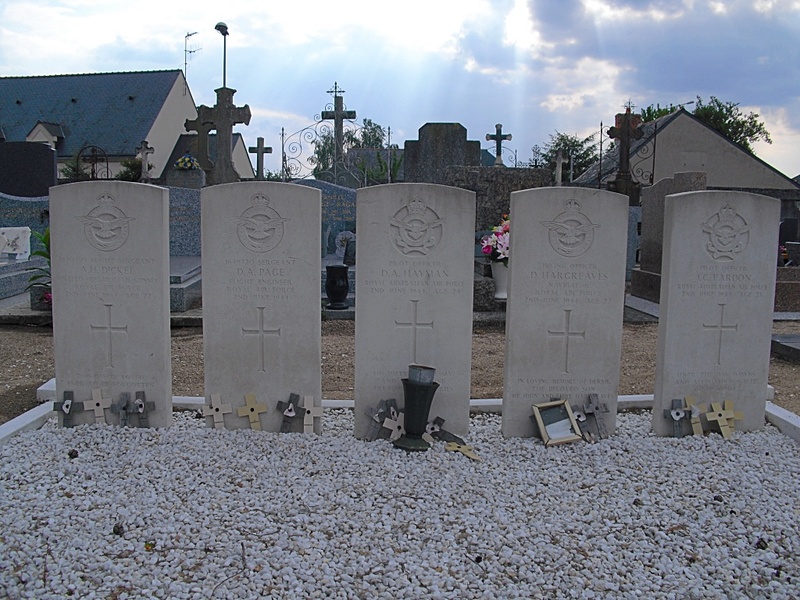 The Cemetery is located behind the church on the Rue du College, and the war graves plot will be found on the left hand side near the main entrance. 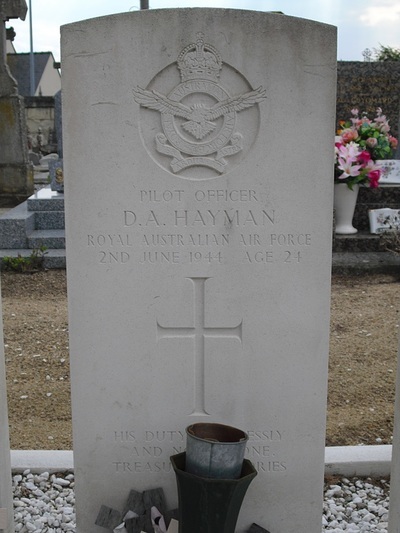 There are 5 Commonwealth burials of the 1939-1945 war here. 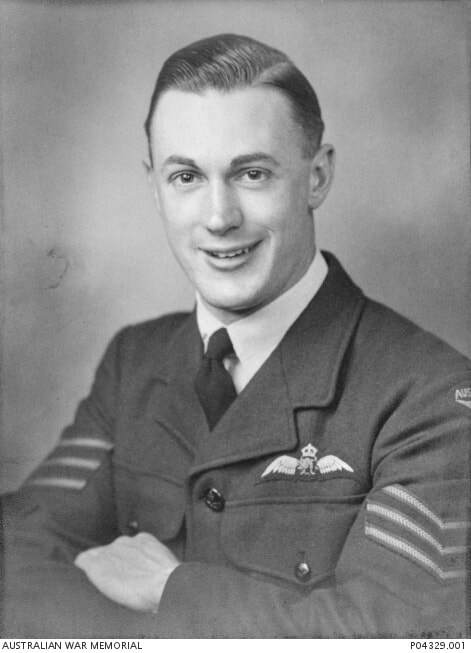 2nd June 1944, aged 24. Son of Samuel William and Amy Hayman, of Brighton, Victoria, Australia. 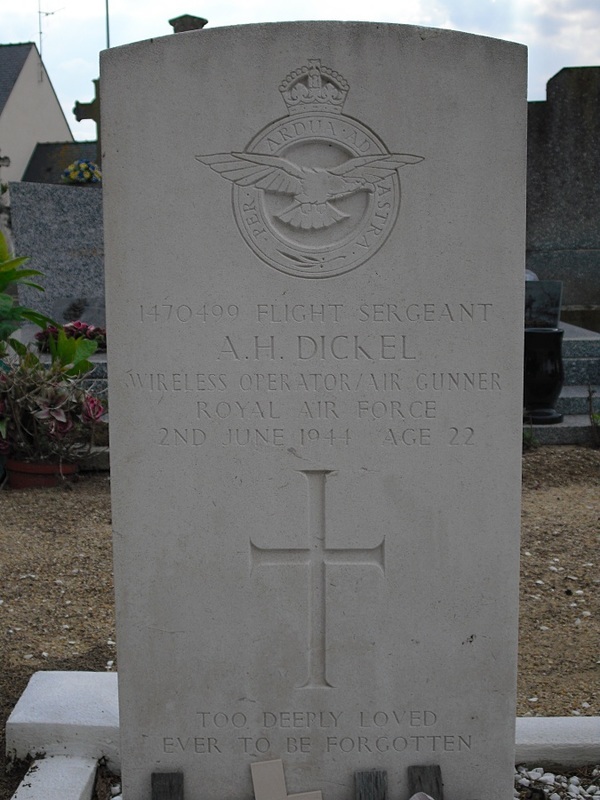 1470499 Flight Sergeant Alfred Henry Dickel, Radio Operator in 138 Squadron, Royal Air Force Volunteer Reserve, died 2nd June 1944, aged 22. Son of Edward William and Clara J. Dickel; husband of Doris Lilian Dickel, of Leigh-on-Sea, Essex. 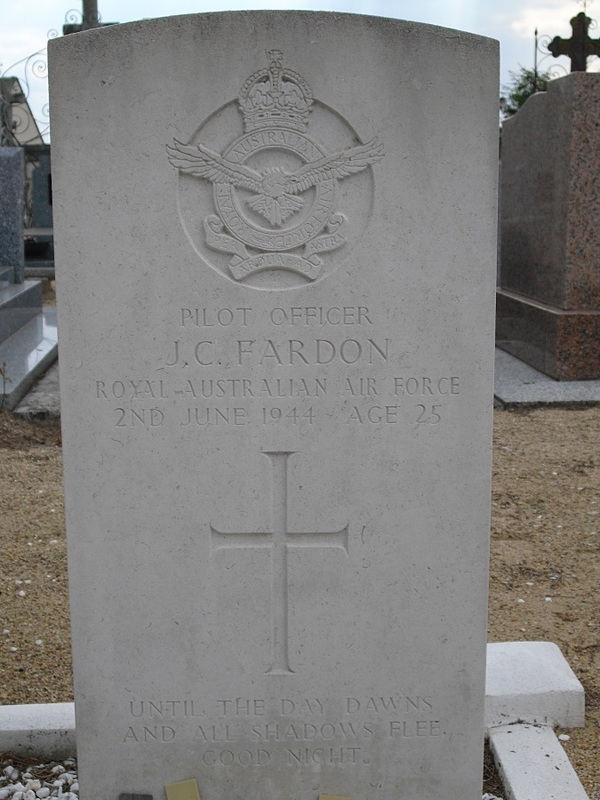 410472 Pilot Officer John Charles Fardon, Royal Australian Air Force, died 2nd June 1944, aged 25. Son of Charles and Jessie Ann Fardon, of Corryong, Victoria. Australia. 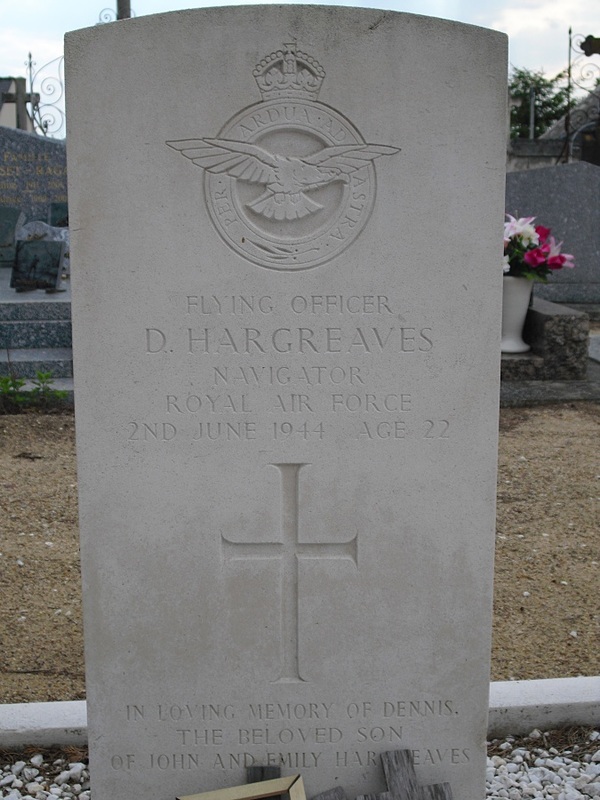 142090 Flying Officer Dennis Hargreaves, Navigator in 138 Squadron, Royal Air Force Volunteer Reserve, died 2nd June 1944, aged 22. Son of John and Emily Hargreaves, of Southport, Lancashire. 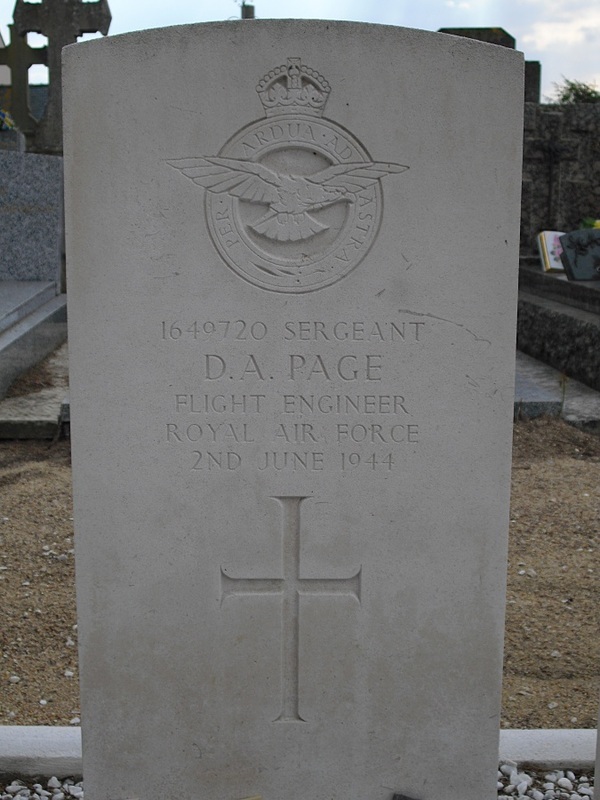 1649720 Sergeant Dennis Arthur Page, Flight Engineer in 138 Squadron, Royal Air Force Volunteer Reserve, died 2nd June 1944, aged 20. Son of Thomas and Emily Page, of Ely, Cambridgeshire.